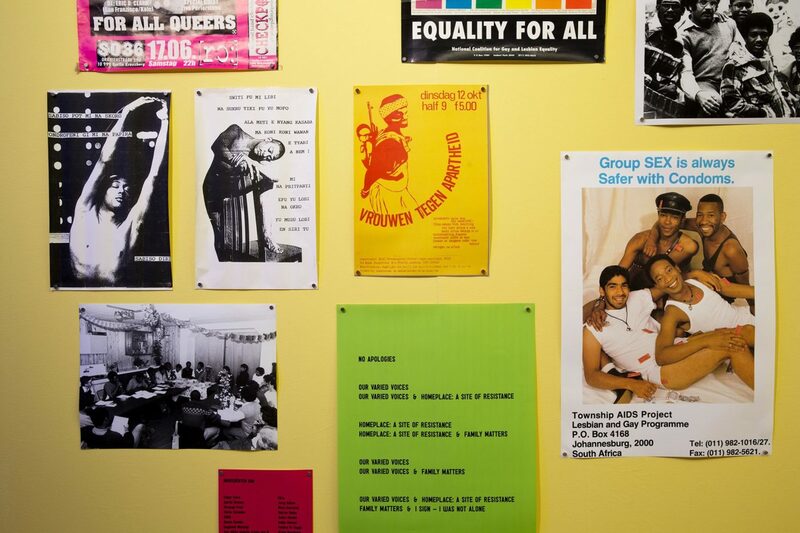 Join us on Thursday 14 February for two informal gatherings around Anne Krul’s ‘Opgehangen Leestafel’ (archival wall), part of Diasporic Self! Anne is a visual artist, writer, poet and activist who was active at ZAMI, a self-organising initiative for and by black, migrant and refugee women aiming to strengthen awareness and the identity of black, migrant and refugee women in The Netherlands. She was also member of Strange Fruit the Real, an organisation for gay, lesbian, bisexual and trans youth from different cultural backgrounds. During the first session, at 17:30, Anne will be joined in conversation by performer Naomie Pieter (of The Black Queer Archives). During the second session, at 19:00, by diasporic queer activist and organizer Axmed Maxamed (of Dance With Pride). The sessions are part tour by Anne/part informal exchange and conversation. 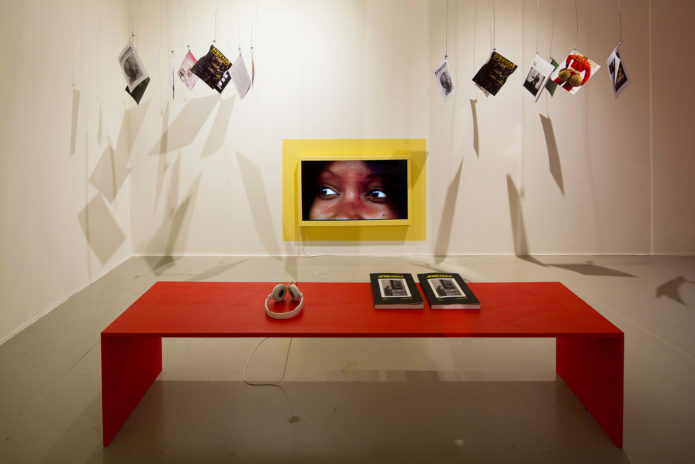 Diasporic Self (on view til 17 Feb a Framer Framed) is an ongoing visual, sonic and dialogic programme and exhibition environment that looks into the meaning, conceptualisation, multiplicities and complexities of the notion of Black Togetherness across Europe. In what ways does Black Togetherness manifest itself in visual and sonic cultures in various urban and contested spaces, institutions and architectures? The project takes place in two spaces simultaneously – Framer Framed in Amsterdam and 198 Contemporary Arts & Learning in London. Initiated by researcher and curator Amal Alhaag and artist and curator Barby Asante.